The frigid island is typically associated with enchantment and natural splendor; these photos of abandoned Iceland present a slightly more sinister view. Þorsteinn H Ingibergsson has been taking amazing pictures of isolated and abandoned locations in Iceland for more than two decades. 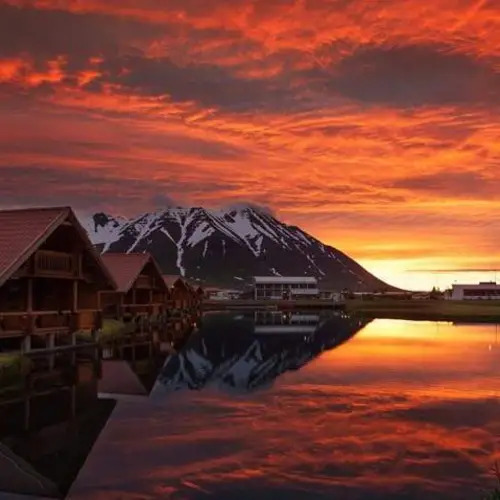 Currently living in Reykjavík, Þorsteinn is an amateur photographer who also owns and operates a successful contracting business. 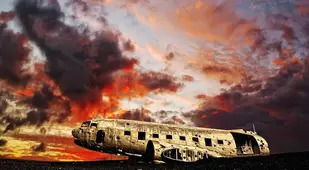 His stunning images of abandoned Iceland–under glorious skies reminiscent of paintings–have been featured in numerous newspapers and magazines and have amassed quite the internet fan base. 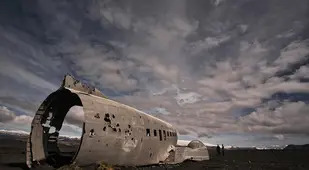 US Navy DC3 that ran out of gas and landed safely on the south coast of Iceland. 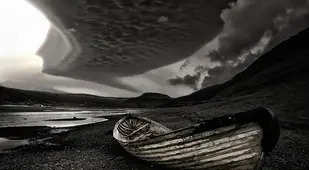 The cloud wall hovering over the lost boat gives this shot an extra eerie feeling. Another shot of the lost US Navy DC3; this one shows just how hollowed out the shell of the plane has become. 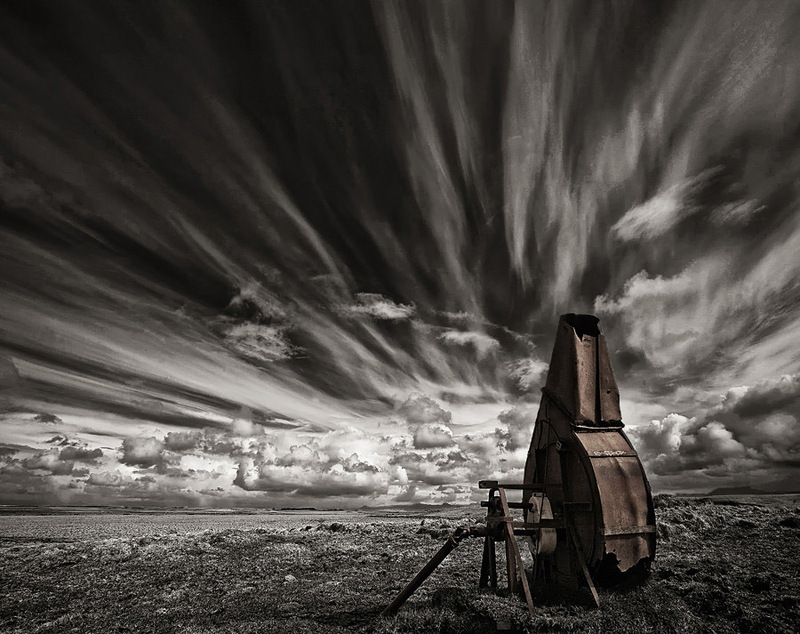 A powerful, monochromatic image of an abandoned farm machine. This farmhouse and tractor sit silently together, no longer useful to anyone. This tractor looks out over the fields it once worked. Tractor left in a lonely Icelandic field. Discarded trailer that has been covered in graffiti over the years sits eerily in the middle of nowhere. 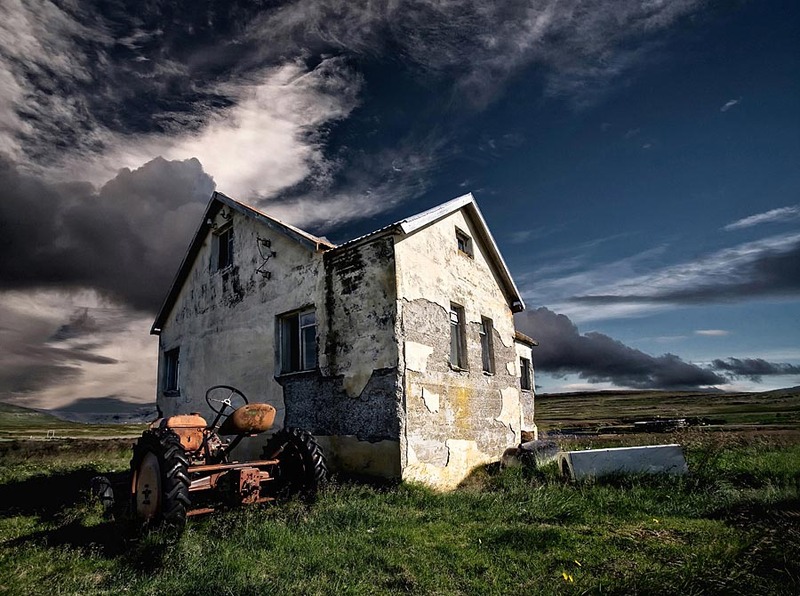 Abandoned Icelandic farm homes with distinctive grass roofs. Monochrome picture of the yellowing leaning ship above; the clouds and angles make it almost look three dimensional. 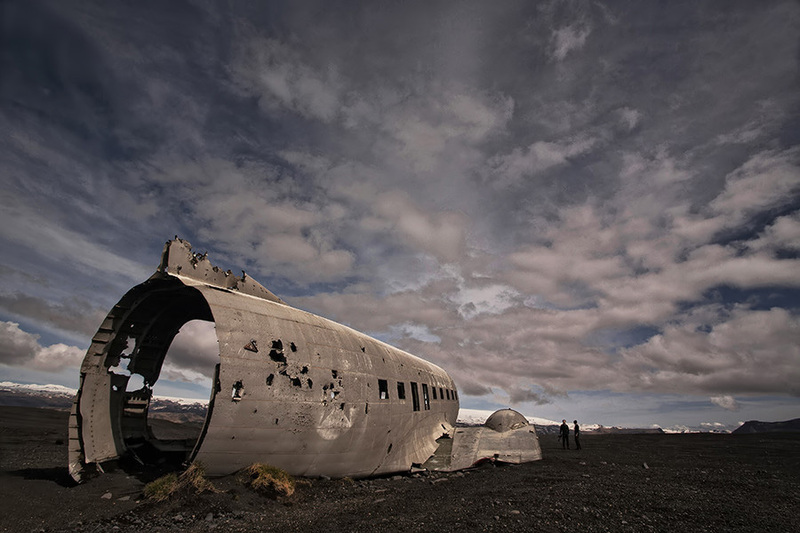 Another piece of heavy machinery lost in the vast Icelandic landscape. A Mercedes Benz bus long forgotten by its owner. 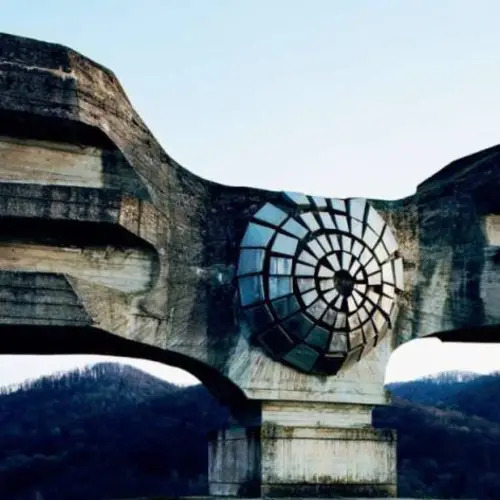 This long left behind stone abode looks as though it would be right at home in a horror film. The colors of the night sky add to the sad beauty of this forgotten ship. Old farmhouses almost look operational with the sun reflection light off the windows; in reality no one knows how long they have sat empty. Red farm tractor that has survived long past its working days. An abandoned aluminum building has the look of an old airplane hangar. Isolated and abandoned houses near an old stone wall. Monochrome shot of a truck that has not been functional for many, many years. 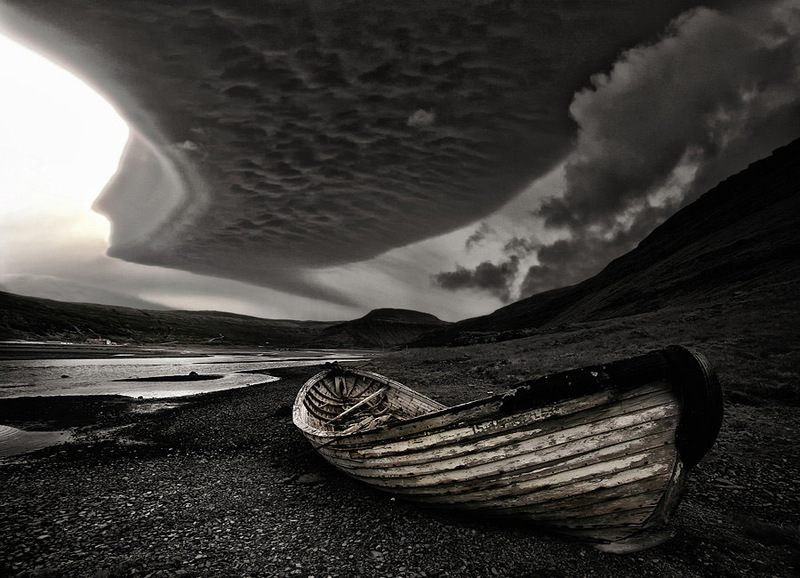 A beached boat is shown resting just off the Icelandic coast. There are many wrecked and abandoned boats throughout the country, making you wonder just what the fate of the occupants was. A group of sheep graze just outside an old shotgun shack that may be their only current form of shelter. This boat’s exposed ribs give it the look of a desiccated beached whale. Small A-Frame house waits patiently upon the snow covered rocks. A stone house and its rusting cars sit framed by a small creek and snow covered peaks in the distance. Here are the last remnants of a long-abandoned factory. The giant steel wheels will likely remain for decades to come. A row of three isolated farmhouses tucked away in the hillside. Another look at a previously shown decaying truck, with an abandoned farmhouse also in view. A magnificent twilight sky adds an additional glint of isolation to this abandoned barn. These old storage barns have some extensive graffiti covering their exterior. This long-ago wrecked ship has yellowed from the moss in the surrounding water. 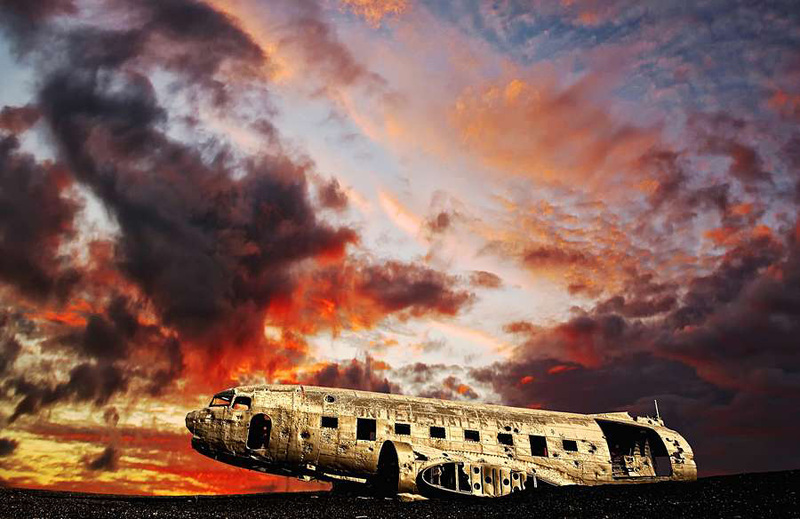 Enjoy these beautiful photos of abandoned Iceland? Be sure to check out our posts on interesting quotes and incredible photographs of abandoned Detroit. 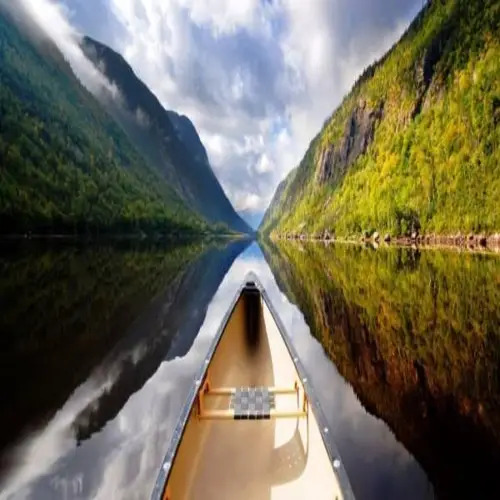 Then, check out six of the most remote places on planet Earth.